Standing in HR area and looking northwest at the juncture of Last Street (east west) and First Street (north south). VS area is seen on the other side of the street and the stupa mound rises in the background. 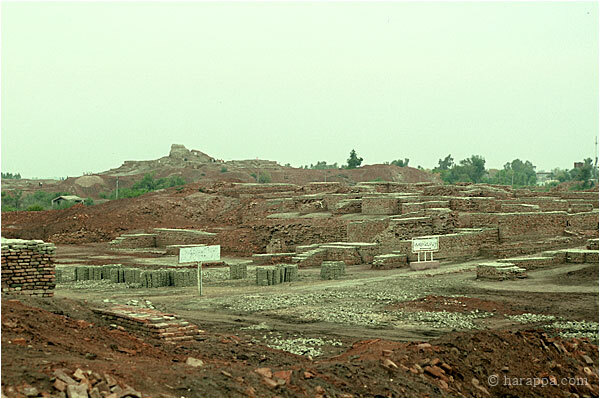 Stacks of mud bricks are waiting to be used for conservation of the fired brick structures (see Slide 13).